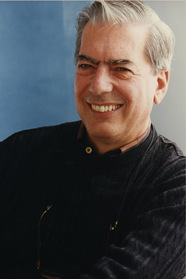 Mario Vargas Llosa is Peru's foremost author and the winner of the 2010 Nobel Prize in Literature. In 1994 he was awarded the Cervantes Prize, the Spanish-speaking world's most distinguished literary honor, and in 1995 he won the Jerusalem Prize. His many distinguished works include The Storyteller, The Feast of the Goat, Aunt Julia and the Scriptwriter, Death in the Andes, In Praise of the Stepmother, The Bad Girl, Conversation in the Cathedral, The Way to Paradise, and The War of the End of the World. He lives in London.